From the bestselling author of Giant Days comes the latest pocket-sized volume in his beloved Bad Machinery series! It's that classic feud: mods versus rockers! As the boys get caught up in the allure of mod culture (the scooters! the hair! the fashion! ), Shauna is testing her mettle as the queen of metal. 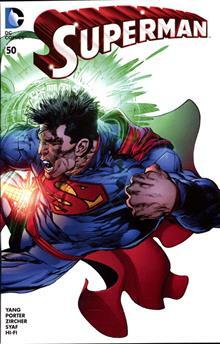 But when the new King of the Mods is crowned, he sparks an all-out war between the musical factions, with the mystery team caught in the mix! 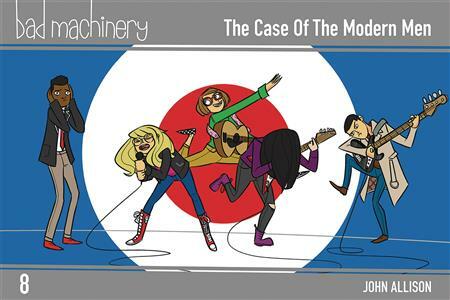 The Case of the Modern Men, the eighth book in John Allison's award-winning Bad Machinery series, finds our intrepid mystery-solvers at an age-old crossroads. How does a person become cool? Why can't we all just get along? And could that shiny new scooter be... cursed?